Read some of the amazing testimonials from people that Milton has helped, from all over the world! Thank you for such a wonderful telephone one-to-one reading I had with you last Thursday evening. I'm totally astounded on how much you knew about me - you must be reading my mail, Ha, Ha? 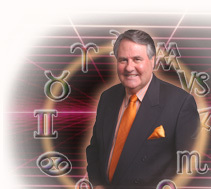 I just wanted to THANK YOU very much indeed for the comprehensive astrology report you forwarded. It was an in-depth read that touched on points so helpful and insightful to me. A gift much appreciated. I would just like to say thank you very much. The astrology report was just about spot on in every aspect! Milton, you are a gem. I have never experienced an astrologer with such an in-depth analysis like yours. Keep up the good work Milton, you are one of the best astrologers on this planet, that is for sure.